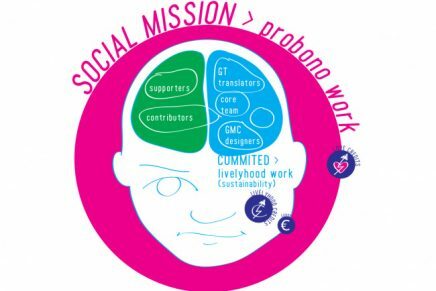 Medialab Prado: 10 Years of Social Innovation - Guerrilla Translation! The following article, written by our good friend Bernardo Gutiérrez, looks at MediaLab Prado, a very special hybrid space in our hometown, Madrid. This translation features additional original content by the author (not originally published in the Spanish media article), citing MediaLab as one of the spaces where the initial gestalt of the early 15M movement was collaboratively created. It has subsequently been republished in Shareable magazine, and the website for The 2013 Economics and the Commons Conference. It seems that “lab” is the word making the rounds amongst innovation buffs these days . Maybe the term “laboratory” isn’t the most appropriate analog, given that its dictionary definition, “a facility that provides controlled conditions in which scientific research, experiments, and measurement may be performed”, falls short in describing the present day use of “lab”, and what these spaces are about. This divergence of terms originated with the foundation of the first Media Lab at the Massachusetts Institute of Technology (MIT), in 1985, a space characterized by its convergence of technology, multimedia art and design. However, in recent years, MIT’s model seems obsolete and at a standstill, especially when compared to a newer and more relevant generations of labs. Madrid’s MediaLab Prado, currently celebrating its tenth anniversary at a new location -la Serrería Belga– stands out as the premier reference points for labs worldwide. So, what is a lab, exactly? A technical laboratory? A multidisciplinary space open to the public? Rather than nailing down one definition, it may be better to observe some of these labs worldwide, and notice the local idiosyncrasies. Any city eager to reinvent itself and adapt to the networked society invests in an urban lab, such as the Laboratorio Procomún in Rosario, Argentina. Cultural centers like, for example, Ljudmila Media Lab (Liubliana, Slovenia) are currently mutating into places where the artistic paradigm goes beyond art objects. Digital art spaces, such as the prestigious Eyebeam in New York, are recycling themselves following collaborative models. 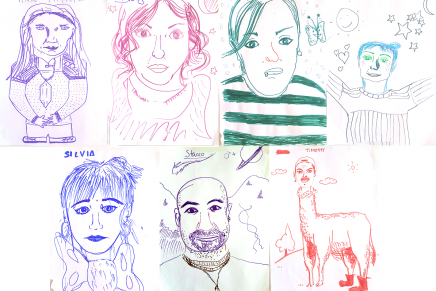 All of the above share a common source of inspiration: Medialab Prado Madrid. This could likely be said about many other institutions, labs, universities and cultural centres around the world. Any city would be proud to host something like a Medialab Prado. What is it about this media lab’s DNA that makes it so desirable in areas as diverse as technological innovation, culture and civic participation? The key to MediaLab Prado’s success may be held in a definition first proposed by José Luis de Vicente: “it’s a community incubator”. In fact, both words, “community” and “incubator”, have been the trend amongst Silicon Valley circles and community managers alike. It’s also worth noting that, as terms, they are seldom seen together. 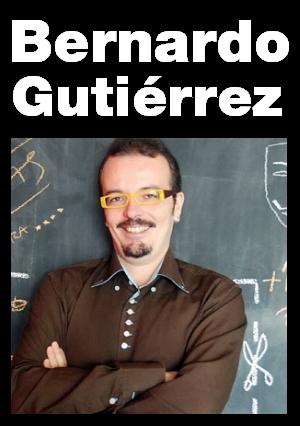 And, as Juan Freire and Antoni Gutiérrez Rubí express in their book “Manifiesto Crowd”, in the age of networks, innovation walks a different path. “The factories that were churning out companies in the 20th century are dead. The 21st century is witness to the birth of spaces for collective innovation”. An incubator lacking a community will never be enough. This is the reason why a lab – both in its physical and digital realms – needs to be an open platform. And that is precisely why MediaLab Prado has become such a a relevant space for coexistence, innovation and mutual co-creation. MediaLab Prado is both a physical and a digital platform. Physically, it’s a space where anyone can walk in, while online it functions as a laboratory for connecting ideas. 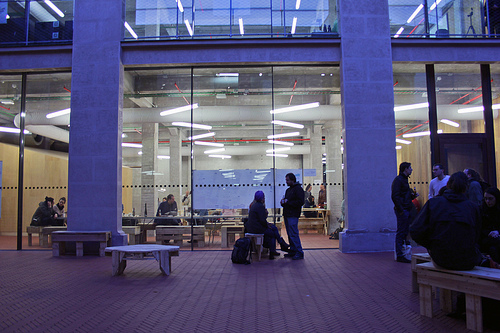 MediaLab Prado is an interdisciplinary workspace for creation and innovation. And here’s an important detail: its strength doesn’t reside in its own programming, put together by stewards and specialists. It lies instead in the various working groups, projects and encounters collectively cooked up by the citizen communities who frequent Medialab’s headquarters, or participate in its digital channels. Every Friday, for example, there’s an open lab where anyone can collaborate with anyone else in the creation of new projects. Another defining feature is its focus on prototyping – another digital culture and IT term. 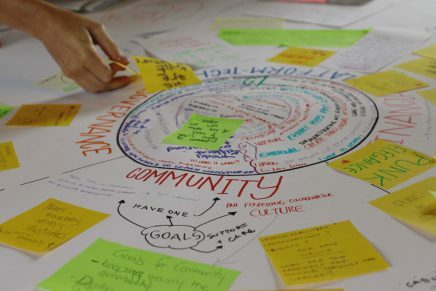 Prototyping culture doesn’t seek definitive or finished products; instead, it prefers to function in a transparent and collective manner, employing open projects in a constant, citizen-fueled process of improvement. All in all, MediaLab Prado has become a catalyst for culture, technology, networks, science, education, and innovation. Evidently, MediaLab Prado’s official areas of competence are both necessary and relevant. Interactivos? (a laboratory for creative and educative technological applications) Visualizar (data and citizenship visualization) or its Commons Lab (transversal investigation centered on the Commons) are clear international reference points. Additionally, self managed working groups, such as “Funcionamientos: Diseños abiertos y remezcla social” (Functioning: Open design and social remixes) or “Género y Tecnología” (Genre and Tech) are just as influential. MediaLab Prado cannot simply be described as a “Cultural Centre”, as it is so much more than a building populated with works of art or technological infrastructures. It’s a connector, a hub, a platform for the collective intelligence that is transforming industry, economics, technology, education and art throughout the whole planet. 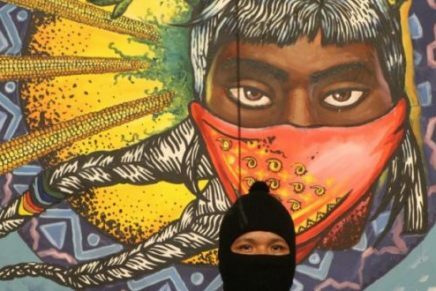 In fact, it’s been one of the citizen hubs where civic activism slowly forged the 15-M/ Indignado movement that heralded Occupy Wall Street and the global revolution. 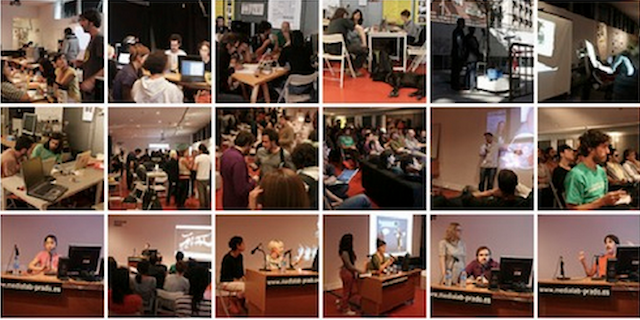 To give an example, in early 2011, while Spanish mass-media ignored collectives such as Democracia Real Ya or Juventud sin Futuro, the Redada Encounters in MediaLab Prado transformed an incumbent and collective -as opposed to hierarchical- form of web activism into a palpable phenomenon. Open code practices, now essential to modern activism, have always been central to MediaLab Prado. The challenges in this new chapter in MediaLab Prado’s history are undoubtedly many. One of the most important will be channeling corporate innovation and navigating new economic paradigms. At a time in which The Economist, no less, dedicates its front page to the sharing economy, MediaLab Prado is in a better position than many. By developing its own trajectory, it could well become a great catalyst for the future networks of innovation, open culture and citizen intelligence that will soon be needed in Europe. In fact, connections established within MediaLab Prado in these last few years have given rise to projects and citizen start-ups such as MLP, Play the Magic, Open Materials, Hackteria, Lummo, Muimota, Máster DIWO, Ultralab and Data Citizen Driven City, amongst many others. Certain working groups, like IoT Madrid (Internet de las Cosas) or exhibitory projects such as Impresoras 3D: Makerbot y Reprap clearly lead the way to the future. Living at a time when most of the world’s population is concentrated in cities, urban innovation may well be MediaLab Prado’s greatest challenge. It’s no coincidence that some of the most influential labs in the world, such as CityLab in Cornellà, Barcelona or the BMW Guggenheimlab in New York, are focusing their efforts on urban innovation. This is the reason why Medialab Prado’s new location at the heart of historic Madrid is so essential. Its urban vocation is most evident in working groups such as Ciudad y Procomún, the new Ciencia Ciudadana (Citizen Science) station or projects like Hacer barrio or Quality Eggs. 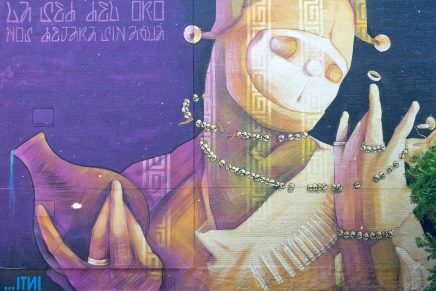 The history of Barrio de las Letras -or “writer’s district”- where Medialab Prado is currently located, is another key facet. The scientific institutions of the 18th Century were responsible for the first major developmental push in Madrid, which then led to the expansion of Barrio de las Letras. During this time, the city witnessed the construction of the Botanical Garden, the Astronomical Observatory, the Academy of the Sciences (which now houses the Prado Museum) and the General Hospital (currently housing the Reina Sofía Museum) and the “Gabinet de Máquinas” a demolished Industrial Engineering museum from that era and situated quite close to the old Army Museum. All of this frantic building activity took place in less than 3 decades. MediaLab Prado´s new location in the Serrería Belga, an old abandoned industrial building, is another telling metaphor of an industrial era that left so many urban carcasses in its wake. In summary, the conversion of an old, abandoned, industrial space into an citizen innovation lab in the same area where literature and science flourished in centuries past, is a promising metaphor indeed. MediaLab Prado is one of the closest examples of the new Partner State proposed by Michel Bauwens, founder of the P2P Foundation. A State which guarantees the necessary space and resources to activate a P2P society’s collective intelligence for the improvement of the Commons.